Featured on the new Zune website are a sample of all the new print ads for the 2nd-generation Zune. Suffice to say, they are definitely works of art. 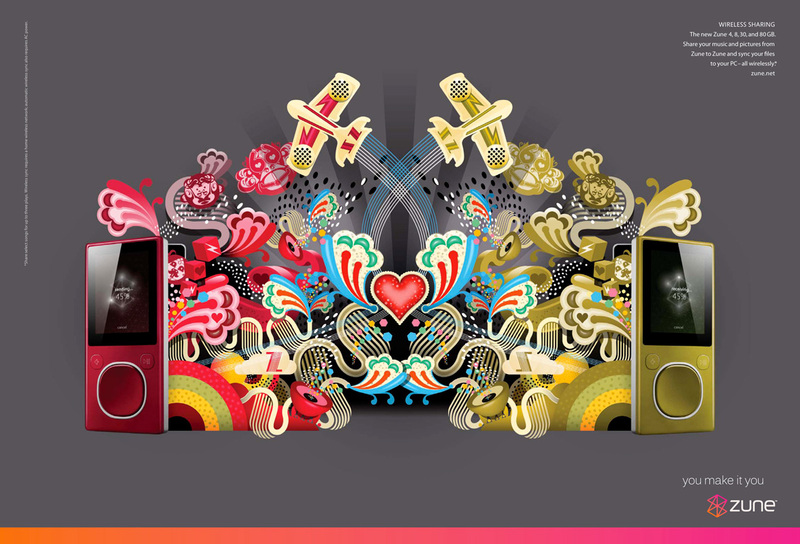 The style is similar to the cartoon vectors found on the Zune Journey flash website featuring funky shapes and out-of-the-ordinary characters. I’d be interested to see where these appear, whether outdoor billboards or magazines. The new Zune 4, 8, 30 and 80GB. Subscribe to Zune Pass and fill up on millions of songs for just $14.99/month. 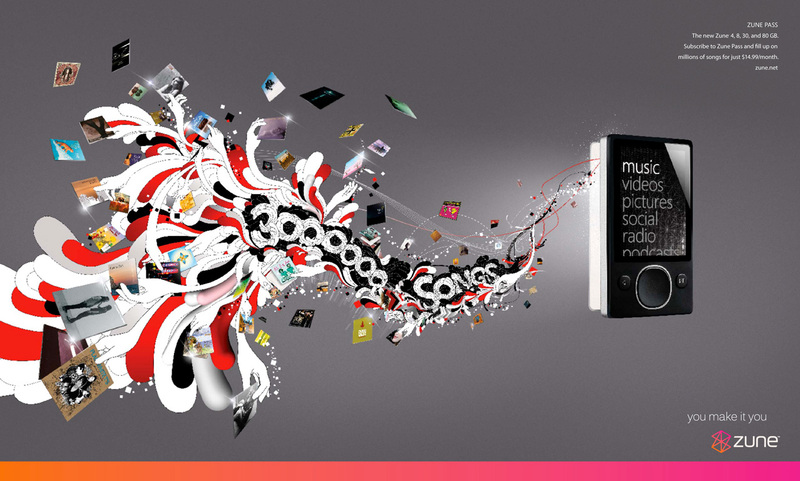 Share you music and pictures from Zune to Zune and sync your files to your PC – all wirelessly.